and increase efficiency - is it time for you to upgrade? Whether you’re looking for an office photocopier or a production print device, we provide the best prices on the latest print technology from the world’s leading brands including HP, Ricoh, Xerox and Konica Minolta. Get in touch today for a quick personalised quote and advice tailored to your exact needs. HP PageWide delivers a breakthrough low colour cost, maximum uptime, and the strongest security. HP Managed MFPs and printers are optimized for managed environments. Offering increased monthly page volumes and fewer interventions, this portfolio of products can help reduce printing and copying costs. Finish tasks fast and help protect against threats with multi-level device security. Finish tasks fast with an MFP that starts right away and helps conserve energy. Multi-level device security helps protect from threats. Original HP Toner cartridges with JetIntelligence and this printer produce more high-quality pages. Help conserve energy and boost productivity with MFP that delivers multi-level device security.10 Ideal for enterprises and medium businesses that need a secure, highly productive, energy-efficient color MFP. Ultimate value,3 fastest speeds,1 and deepest security2 for today’s enterprise. HP Managed MFPs and printers are optimized for managed environments. Offering increased monthly page volumes and fewer interventions, this portfolio of products can help reduce printing and copying costs. See your HP Authorized Reseller for details. Are you looking for a high-performance, economical and optionally expandable monochrome printer for your small business or department? Then this user-friendly model with duplex unit, network interface and modern security features is certainly a good choice for you! Achieve fast, responsive results on a variety of media up to A4. This HP LaserJet Printer with JetIntelligence combines exceptional performance and energy efficiency with professional-quality documents right when you need them-all while protecting your network from attacks with the industry's deepest security. The world's most secure printing? With HP Sure Start, each printer regularly checks its operating code and repairs itself from attempted hacks. Do you value high speeds and appealing results? Then this compact, easy-to-use and economical black and white printer with duplex unit, network interface and modern security features is certainly a good choice for you and your office life. In addition, the paper capacity is optionally expandable, so that even higher print volumes are no problem for him. This HP LaserJet Printer with JetIntelligence combines exceptional performance and energy efficiency with professional-quality documents right when you need them – all while protecting your network from attacks with the industry’s deepest security. This HP LaserJet MFP with JetIntelligence combines performance, energy efficiency, and security. This HP LaserJet MFP with JetIntelligence combines exceptional performance and energy efficiency with professional-quality documents right when you need them—all while protecting your network from attacks with the industry’s deepest security. This HP Color LaserJet with JetIntelligence merges performance, energy efficiency, and security. HP Managed MFPs are optimized for managed environments. Offering increased monthly page volumes and fewer interventions, this product can help reduce printing and copying costs. See your HP Authorized Reseller for details. HP Managed printers are optimised for managed environments. Offering increased monthly page volumes and fewer interventions, this product can help reduce printing and copying costs. See your HP Authorised Reseller for details. With HP Sure Start, each printer regularly checks its operating code and repairs itself from attempted hacks. Speed through tasks and save paper. Print two-sided documents at up to 47 images per minute, with 100% duplex efficiency. ColorSphere3 toner formulation, combined with an automatic media sensor, help provide leading print quality. Premium quality, maximum uptime, and the strongest security from a smart, streamlined MFP. Businesses that stay ahead don’t slow down. It’s why HP built the next generation of HP LaserJet MFPs—to power productivity with a streamlined design that delivers premium quality, maximum uptime, and the strongest security. The next generation of quality, productivity, and security. Businesses that stay ahead don’t slow down. It’s why HP built the next generation of HP LaserJet A3 MFPs – to power productivity with a streamlined design that delivers premium quality, maximum uptime, and the strongest security. Businesses that stay ahead don’t slow down. It’s why HP built the next generation of HP Color LaserJet A3 MFPs – to power productivity with a streamlined design that delivers premium colour value, maximum uptime, and the strongest security. If you need an economical, and optionally versatile, color MFP that lets you print, copy, and scan a variety of media up to A3, then this easy-to-use device is a great choice for you. Equipped with duplex unit, network interface and modern security features, it is ideally suited for daily use in departments and teams. Use this economical and user-friendly color multifunction system to print, copy and scan a wide variety of media up to A3 speedy and in appealing quality. It is equipped with a duplex unit, a network interface and modern security features. It can also be optionally expanded to meet your paper capacity and finishing requirements. The HP printing system HP Color LaserJet Managed MFP E77830dn is awarded with the environmental label Blue Angel (RAL-UZ 171, edition July 2012) for meeting altogether more than 100 strict certification criteria. The device is equipped with an automatic duplexer for double-sided printing/copying. Businesses that stay ahead don’t slow down. It’s why HP built the next generation of HP LaserJet A3 MFPs – to power productivity with a streamlined design that delivers premium quality, maximum uptime, and the strongest security. Print premium, professional-quality documents with sharp text and crisp graphics for a low cost. Print, copy and scan cost-effectively and professionally with this powerful, easy-to-use, black-and-white multifunction system. It has a duplex unit, a network interface, two hard drives and modern security features and offers flexible media handling up to DIN A3. In addition, the paper capacity can optionally be extended if necessary. Ideal for smaller departments and teams. Businesses that stay ahead don’t slow down. It’s why HP built the next generation of HP LaserJet A3 MFPs – to power productivity with a streamlined design that delivers premium quality, maximum uptime, and the strongest security. High speeds, modern security features and flexible media handling up to A3 are important to you? Then this extremely powerful, versatile and optionally expandable 3-in-1 monochrome multifunction system is sure to be a good choice for you! It is equipped with a duplex unit and network interface as well as two hard disks and can be easily operated and managed via the color touch display. Premium color value, maximum uptime, and the strongest security1 from a smart, streamlined MFP. Businesses that stay ahead don’t slow down. It’s why HP built the next generation of HP Color LaserJet MFPs—to power productivity with a streamlined design that delivers premium color value, maximum uptime, and the strongest security. This compact black and white printer is ideal for smaller teams looking to get things done quickly thanks to its built-in duplex unit, network interface, 256MB of memory and advanced security features. It also supports mobile printing and works extremely energy efficient and cost effective. Shift your office into high gear with a powerful printer that doesn’t keep you waiting. Print your first page and two-sided prints faster than the competition, and help keep your device, data, and documents safe – from boot up to shutdown. Print more consistent, high-quality pages than ever before. Specially designed Original HP Toner cartridges with JetIntelligence deliver better performance, higher energy efficiency, and authentic HP quality – which the competition can’t match. HP Managed MFPs and printers are optimized for managed environments. Offering increased monthly page volumes and fewer interventions, this portfolio of products can help reduce printing and copying costs. See your HP Authorized Reseller for details. HP PageWide delivers a breakthrough low colour cost, maximum uptime, and the strongest security. HP Managed MFPs and printers are optimized for managed environments. Offering increased monthly page volumes and fewer interventions, this portfolio of products can help reduce printing and copying costs. See your HP Authorized Reseller for details. HP Managed MFPs are optimised for managed environments. Offering increased monthly page volumes and fewer interventions, this portfolio of products can help reduce printing and copying costs. 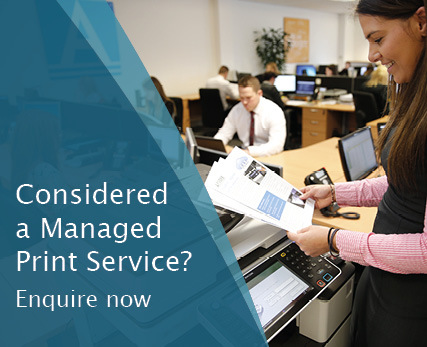 HP Managed MFPs and printers are optimised for managed environments. Offering increased monthly page volumes and fewer interventions, this portfolio of products can help reduce printing and copying costs. See your HP Authorized Reseller for details. Fully featured, this intelligent 20 ppm A3 all in one printer is equipped with an ARDF and can print, copy and scan in colour. Its super-sized 10.1 inch Smart Operation Panel features an intuitive touch and swipe interface which simplifies operation. To save time, it lights up on approach, allowing users to pre-select applications and settings. And, because the all in one printer incorporates Ricoh’s Always Current Technology™, it is easy to download new features. Working quietly in the background, this 25 ppm colour all in one printer efficiently meets all document needs. Easy to use and effortlessly reliable, it prints, copies and scans in full colour. It even has an ARDF which automatically turns and scans double sided documents. The intelligent 10.1 inch Smart Operation Panel lights up on approach. And, with Ricoh’s Always Current Technology™, new features can be downloaded as and when they are required. Offering rich functionality and reliable performance, this 35 ppm colour all in one printer really delivers. Effortlessly meeting your document needs, it scans and distributes information, prints and copies in colour and neatly finishes document sets. The 10.1 inch Smart Operation Panel simplifies operation. And, with support for smartphones and tablets, it is easy for employees to connect and get on with their work. A powerful all-rounder, this productive 45 ppm colour all in one printer ticks all the boxes. Part of Ricoh's flagship A3 colour multifunctional range, it is designed to meet demanding higher usage requirements and delivers high quality colour and black-and-white print output at speed. Indeed, equipped with an optional EFI Fiery print server, it will produce print of a quality that is more usually associated with professional print shops! Printing at 55 ppm in full colour, Ricoh's IM C5500 all in one printer delivers a more productive all-round performance. Part of Ricoh's flagship A3 colour multifunctional range, it effortlessly meets high volume document needs; scanning and distributing information, printing and copying in colour and neatly finishing output. The all in one printer can be configured with a variety of time and labour saving finishing systems, including a multi folding unit, a booklet maker and a hybrid finisher. This compact A4 MFP is ideal for small to medium-sized offices that need the flexibility to print A3. With a 30 ppm speed, its intuitive Smart Operation Panel is easy to use, and it allows you to manage your documents directly from the panel. And thanks to its quiet operation and small footprint, this device is ideal choice if you want a feature rich MFP that takes up little office space. The option to print A3 is just the tip of the iceberg. Boasting a 10.1 inch Smart Operation Panel that supports a new Intuitive User Interface, you can instantly access Smart functions direct from the homescreen – which simplifies operation. Do more, more easily. Scanning, copying and printing are vital components of everyday workflow, so when you can accomplish these tasks quickly, easily and reliably to an impressive standard, you boost the efficiency of the whole business, customer-facing as well as internally. The innovative Ricoh MP 3055SP 30 ppm A3 black and white MFP – whether delivering single or multi-page document formats – makes office, school and workspace life simpler and more productive. This is achieved through features like smart touch screen operation, rapid scanning and advanced document feeding, along with attractive options in hybrid sheet finishing. When speed is as important as the quality of the documents you are producing, the Ricoh MP 4055SP enables you to achieve your productivity aims, with powerful capabilities that are easy to use and customise. This environmentally friendly model offers smart capabilities at a touch, providing numerous opportunities for professionally finished documents. For sophisticated document feeding and rapid scanning, teamed with hybrid sheet finishing and multiple folding options, the reliable Ricoh MP 4055SP is the ideal answer. The Ricoh MP 4055SP’s Smart Operation Panel empowers busy workspaces and offices with exceptional functions, including the intuitive, easy-view 10.1-inch touch screen to help free up time and speed your workflow. The Ricoh MP 5055SP is expertly designed to help every busy office boost productivity and smooth the workflow, from subtleties such as the quick, noiseless start-up that avoids needless distraction, to major assets like the easy-to-operate, intuitive control screen and the hybrid sheet finishing and choice of folding solutions. Smart and customisable capabilities encourage greater efficiency and creativity. Environmentally friendly features such as the efficient sleep mode and the staple-free option that reduces use of metal - an especially safe solution for use in schools and food factories - add to the already highly professional appeal. As the fastest model in its range at 60 ppm, the innovative Ricoh MP 6055SP comfortably enables you and your workgroup to accelerate your output of high-quality digital and hard-copy material, using easy to operate features. Complex becomes simple and your office workflow becomes more efficient, more reliable and more productive. This smart model can cope readily with your scanning, printing, and copying, and tackle multiple finishing and folding tasks in a variety of creative ways. When you require documents that not only inform and engage, but also add value to your company’s image, this device provides a cost-effective way forward. Transform your office with a professional-quality device that’s designed for environments that never stop. The MP 6503SP offers a 65ppm print speed as well as outstanding reliability, productivity and functionality that helps smooth your business-level workflow. The 10.1 inch Smart Operation Panel allows for much more intuitive document management and also ensures locked-down security for your total output. This is combined with extended software capabilities including integration with a range of our workflow enhancing technologies like Streamline NX, GlobalScan NX, and RICOH Scan CX – so your business is always productive and connected. Perfect for your fast-paced business environment, this MP 7503SP not only offers a 75ppm print speed, but all the connectivity you need. Featuring our 10.1 inch Smart Operation Panel – which allows for much more intuitive document management and ensures outstanding security for your total output – you can customise this printer to suit your needs. So we’ve not only transformed the way you interact with this multifunctional printer, but we’ve also added a wealth of usability benefits – as well as productivity enhancing and capability extending applications – that will improve your workflow and operations. Just touch, swipe, pinch and get the job done. Perfect for your demanding work environment, this MFP offers the reliability, productivity and functionality you need, combined with a level of connectivity you expect in today’s technological world. Our 10.1 inch Smart Operation Panel allows you to bring a wealth of usability features and applications to your fingertips, so improved workflow and productivity are only ever a touch, swipe or pinch away. Supremely fast printing at 90ppm works alongside professional level output that’s ideal for flexible and high volume working. Of course, security is more important than ever, so this MFP is set up to help you meet your network security policy or governing body standards, and ensure your data is as safe as possible. In a world that is more connected than ever, the compact, cost-effective Ricoh MP C307SPF helps small to medium sized offices stay ahead. Quickly and securely send documents to print from mobile smart devices, share files with address book contacts, and take advantage of connection options that support iOS and Android. More efficiently still, you can readily connect without the need to first register your device or join the network. To help you accelerate your workflow and make your life easier, Ricoh – market leader in the light and mid production market – offers you a complete production workflow solution. From job receipt via creation to invoice. At the heart of this workflow, Ricoh offers the Aficio MP 1100: production powerhouses built to exceed your expectations when pressure is at its peak. Engineered to make sure you can face and keep your customer’s deadline, the MP 1100 offer unique features. The right choice for your business, all day, every day! High image quality and broad media handling, allow you to create high quality output, with ease of use. Providing value added printing with the latest technology to help expand your business. Enabling you to create more value with minimum investment. With the compact, versatile Ricoh Pro C5200s, you can improve customer experience, increase productivity and lower printing costs. These multi-function digital color production systems provide expansive capabilities that are ideal for a wide vareity of print environments. The Pro™ C7200s Series, are Ricoh's latest product offerings in our production portfolio line-up. These high speed, four colour presses deliver outstanding image quality and productive performace at an affordable price. Ricoh's latest flagship digital cut sheet press, the Pro™ C9200 Series deliver astonishing quality at an express speed. Bridging the gap between offset and digital processes, they enable users to print high quality digital print collateral more quickly and more affodably. The SP3710SF printer brings productive, cost-effective and easy-to-use multifunctional performance within the reach of every size of business. Its Ultra High Yield Toner allows the user to print for up to a year without changing cartridges†, delivering long-term affordability. Introducing our latest black-and-white smart multifunction printer intelligent enough to change the way you work. Offering a next generation, mobile-ready user experience, the AltaLink® B8000 Series is built for ease of use, security and the future-proof flexibility of app-based workflows. Transform your fleet — and then your business. Introducing our latest black-and-white smart multifunction printer intelligent enough to change the way you work. Offering a next generation, mobile-ready user experience, the AltaLink B8000 Series is built for ease of use, security and the future-proof flexibility of app-based workflows. Transform your fleet—and then your business. You’ve never seen a multifunction printer like this before. From its tablet-like user interface to its right-out-of-the-box mobile-friendly connectivity options, the Xerox AltaLink B8000 Series is the multifunction device today’s workers have been waiting for. Xerox® AltaLink® devices provide new levels of capability and connectivity for mid-size, large work groups and busy offices. With AltaLink®, your extended workforce has instant and secure access to the documents, data and workflows it needs to work faster and more efficiently — from every location and with any device. Xerox AltaLink devices provide new levels of capability and connectivity for mid-size, large workgroups and busy offices. With AltaLink, your extended workforce has instant and secure access to the documents, data and workflows it needs to work faster and more efficiently—from every location and with any device. You’ve never seen a multifunction printer like this before. From its tablet-like user interface to its right-out-of-the-box mobile-friendly connectivity options, the Xerox AltaLink C8000 Series is the color multifunction device today’s workers have been waiting for. The Xerox® Colour C60/C70 Printer provides application versatility and professional image quality, and is flexible enough to grow with your business. It’s an all-in-one solution that can boost productivity in any environment. The Xerox® Colour C60/C70 allows you to print, copy, fax (optional), and scan – including scan to PC, USB or email. It can even print from virtually any smartphone or tablet. That’s how the Xerox® Colour C60/ C70 boosts any team’s efficiency. The Xerox® Colour C60/C70 Printer is engineered to bring out the best in digital printing. Whether you need to create a customer brochure, a captivating proposal or presentation, an eye-catching poster, or even window clings or polyester signs, you get stunning results every time. Productivity, scalability and professional image quality, all-in-one. The Xerox® Colour C70 Printer provides application versatility and professional image quality, and is flexible enough to grow with your business. It’s an all-in-one solution that can boost productivity in any environment. Grow your business with performance and reliability you can count on. Designed for fast-paced environments of all types – from commercial print shops and pay-for-print retail outlets to law offices and school districts – the Xerox® D95A/D110/D125 Copier/Printer excels anywhere speed, image quality and ease-of-use play key roles in improving efficiency and reducing costs. For printing-intensive environments, the Xerox D95A Black and White Copier/Printer excels at what’s most important: increasing productivity, reducing costs and exceeding your customers’ demanding expectations. Count on superior performance, renowned Xerox dependability and ease-of-use, plus versatile, state-of-the-art finishing capabilities and the ability to add industry-leading integrated workflow-optimization solutions. Whether stand-alone or as a part of your extended fleet, the Xerox® VersaLink B400 Printer takes your team to new levels of productivity becoming true workplace assistants. 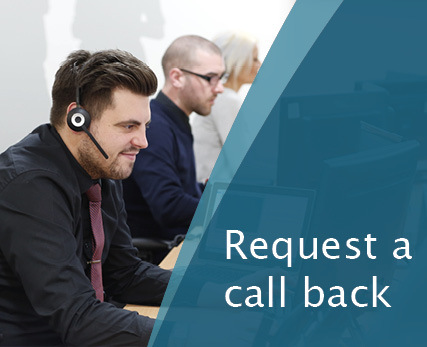 Work the way you want – from any device – with maximum security and easy connectivity to and from both cloud and networkbased locations. Whether stand-alone or as a part of your extended fleet, the Xerox VersaLink B400 Multifunction Printer takes your team to new levels of productivity becoming true workplace assistants. Work the way you want – from any device – with maximum security and easy connectivity to and from both cloud and networkbased locations. Right out of the box, you’ll count on your Xerox VersaLink B400 Printer to consistently and flawlessly perform the tasks that make your business work more efficiently, and count on day in, day out reliability thanks to our trusted paper path technology. For a black and white printer or multifunction printer, the VersaLink B600/B605 is anything but basic. In fact, VersaLink sets a new standard for what you can expect in work group productivity from Xerox. Home or away, this highly configurable, cloud-connected workplace assistant delivers completely new capabilities that go far beyond the competition – at a competitive price. The fast, full-featured and office-friendly VersaLink B610 is anything but your basic black and white device. In fact, VersaLink sets a new standard for what you can expect in work group productivity from Xerox. Home or away, this highly configurable, cloud connected workplace assistant delivers completely new capabilities that go far beyond the competition – at a competitive price. When it comes to seamless integration into your work environment and helping you get important tasks done faster, there’s no smarter option than the affordable, reliable and supremely business-ready VersaLink B7025 Multifunction Printer—featuring Xerox ConnectKey Technology. And with an entirely re-engineered paper path and new LED print head technology, we’ve taken day-in, day-out reliability to an impressive level of excellence. VersaLink devices are loaded with features and time-saving Xerox technologies designed to speed up information sharing and reduce inefficient workflows. Ensure information accuracy with Scan and Fax preview, and do more with scanned documents with built-in optical character recognition (OCR). When it comes to seamless integration into your work environment and helping you get important tasks done faster, there’s no smarter option than the affordable, reliable and supremely business-ready VersaLink B7035 Multifunction Printer – featuring Xerox® ConnectKey® Technology. Built for the productive office, the VersaLink C400DN is designed to grow with your business. With print output at speeds of up to 36ppm, tap to pair mobile connectivity and a maximum 1,250 sheet paper handling capacity, the VersaLink C400DN is the powerful print solution you need for a pressured print environment. At crisp 600 x 600 x 8 dpi quality, you'll produce vibrant images, razor sharp text and high definition in fine details whether you're printing brochures or presentations. The VersaLink C400DN used with EA toner ensures your documents look their best and protects your investment in Xerox technology. Built for the productive office, the VersaLink C405 is designed to grow with your business. With print output at speeds of up to 36ppm, tap to pair mobile connectivity and a maximum 1,250 sheet paper handling capacity, the VersaLink C400DN is the powerful print solution you need for a pressured print environment. At crisp 600 x 600 x 8 dpi quality, you'll produce vibrant images, razor sharp text and high definition in fine details whether you're printing brochures or presentations. The VersaLink C400DN used with EA toner ensures your documents look their best and protects your investment in Xerox technology. Designed for fast-paced workteams, the VersaLink C500 Colour Printer and C505 Colour Multifunction Printer deliver a higher level of reliable performance. Cloud connected, mobile ready, app-enabled, and easy to customise, the C500 and C505 are your modern workplace assistants – helping you excel today and stay ready for the future. The VersaLink C600 Colour Printer and VersaLink C605 Colour Multifunction Printer represent the new definition of exceptional performance and unbeatable reliability. Cloudconnected, mobile-ready, app-enabled, and easy to customise, the C600 and C605 are your modern workplace assistants – transforming the way you work today, while ensuring you'll stay one step ahead tomorrow. The Xerox VersaLink C605XL A4 Colour Multifunction Laser Printer delivers extraordinary performance and unbeatable reliability to transform the way you work today and into the future. With a wide range of accessories and a modular design, you can customise and future proof your Xerox VersaLink C605XL. Or simply enjoy out of the box connectivity with mobile and cloud print solutions for all your iOS and Android devices. The Xerox VersaLink C605XL is custom built for speed and efficiency, from the 53ppm print output at 1200 x 2400 dpi resolution to SimpleID technology, allowing each user to access their print presets at the touch of a button. Thanks to the intuitive 7 inch colour touchscreen, you can swipe your way through your everyday print tasks with ease. When you need your work to stand out from the rest, count on the VersaLink C7000 Colour Printer – featuring Xerox® ConnectKey® Technology. Ready for the way you want to work, the C7000 is mobile-ready, app-enabled and ready to customise. Meet your challenges head-on with the VersaLink C7000 – your modern workplace assistant. The Xerox Versalink C7020DN is designed from the ground up to deliver consistently high-quality prints with class leading reliability. This model boasts a new design which utilises fewer moving parts to create a strengthened paper-path. This level of build quality combined with time-saving Xerox software technologies creates an easy to use, high performance printing solution. The Xerox Versalink C7020DN delivers outstanding print quality with a resolution of up to 1200 x 2400 dpi. This is combined with a host of functionality including automatic double-sided printing and the ability to continue printing in mono even if the printer is out of colour toners. The Xerox ConnectKey Technology-enabled VersaLink C7030 Colour Multifunction Printer offers flawless reliability, seamless integration and advanced productivity. Cloud connected, mobile ready, app-enabled, and easy to personalise, the C7030 is your modern workplace assistant – helping you excel today and stay ready for the future. With the VersaLink C7030 Colour Multifunction Printer’s oversize, customisable 7-inch colour touchscreen, you can tap, swipe and pinch your way through tasks and functions with mobile-like ease. When you need professional colour, flawless reliability and top productivity in a well-connected printer, count on the VersaLink C8000 and C9000 Colour Printers with Xerox® ConnectKey® Technology. The feature-rich, app-enabled C8000 is ready to be customised as your workplace assistant. The C9000 adds greater media flexibility and precision colour matching and control tools for graphic arts professionals and creative agencies. Consistently vibrant colour printing tuned with professional colour management tools. Outstanding media flexibility. Unparalleled performance and reliability. Network, mobile and cloud connected. App-based workflow customisation. These are the capabilities that make the VersaLink C9000 the printer of choice for graphic arts professionals and internal design groups alike. Businesses like advertising agencies, graphic design shops, marketing communications firms and photography studios can use the VersaLink C9000 to bring their work and ideas to life with vivid colour and unparalleled quality. The Versant Family of Presses is known for high quality and easy automation, and the ability to print on a wide range of media types. With the Versant 180, you’ll instantly advance your capabilities. You’ll gain a competition-busting quality advantage and the ability to create high-value applications. Attract new business, increase margins and earn a reputation for excellence with stunning, accurate output. Print at top speeds on stock weights from 52-350 gsm, and maximise your job types with the ability to run envelopes, 660 mm banners, polyester/synthetic, textured, coloured, custom media and mixed-stock printing. The Versant family’s unique combination of competition-busting image quality, media latitude and workflow automation is brought to its highest, most powerful potential in the Versant 3100. Step up to the most advanced press in the Versant Family. The Xerox Versant 3100 Press delivers more of what you need in a high-volume print solution. Speed, optimised alignment, colour calibration technologies and robust finishing options allow you to respond with confidence to the ever-changing print market. Groundbreaking technologies based on Xerox innovation and ingenuity combine with a single focus – ultimate productivity without sacrificing quality, control or capabilities.